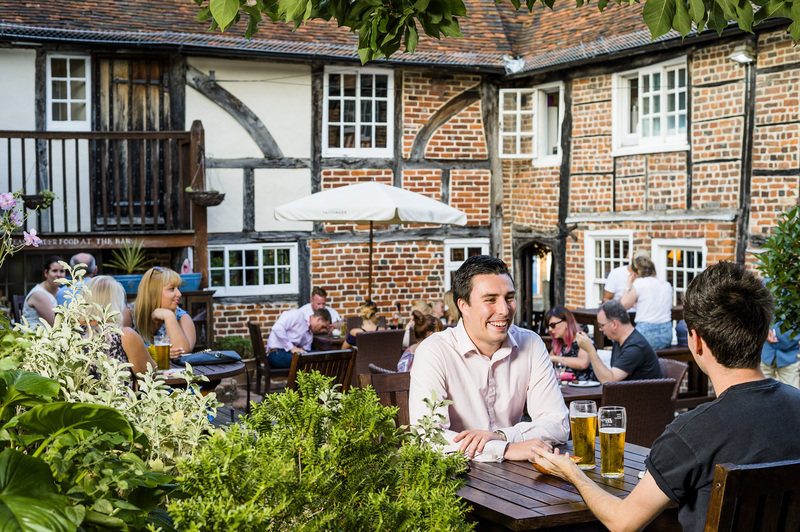 Gourmet goodness awaits at the Parrot, where delicious food makes this one of the best dining pubs in Canterbury. There’s a tantalising mix of modern and classic British dishes to choose from, plus fresh sandwiches for a light lunch and a sublime Sunday roast for anything but! Across all our menus, everything is freshly prepared in house, right down to the salsas, sauces and soups which are made fresh here every day. Local produce is another key factor in The Parrot’s culinary success, with Kentish ingredients used as much as possible. Situated in the heart of the cathedral city of Canterbury, the Parrot is a great choice for a private or corporate event. The historic pub boasts a stunning first floor function room with original oak-beamed ceilings and walls. It can accommodate around 40 guests seated, and up to 55 standing. Our downstairs bar area is also available for private hire, and can accommodate around 30 guests seated, or around 45 standing. There is also a delicious selection of buffet and sit-down event menus to choose from, all offering extensive vegetarian and vegan options. Whatever the occasion, our friendly team will pull out all the stops to ensure your event goes smoothly.